You’ve heard of the boiling frog theory, right? Put a frog in boiling water and it’ll jump right out. But put it in tepid water, then slowly bring that water to the boil, and Mr Frog will happily sit there until he’s cooked to death. We got a brand new crystal ball as an early Christmas present. Not one of those rubbish ones from ‘The Wizard Of Oz’, which just shows flying monkeys and melty witches. Nope, our one’s much more useful, because it allows us to peek behind the curtain and see what’s in store in the world of marketing, retail and our own particular field of expertise: advocacy. 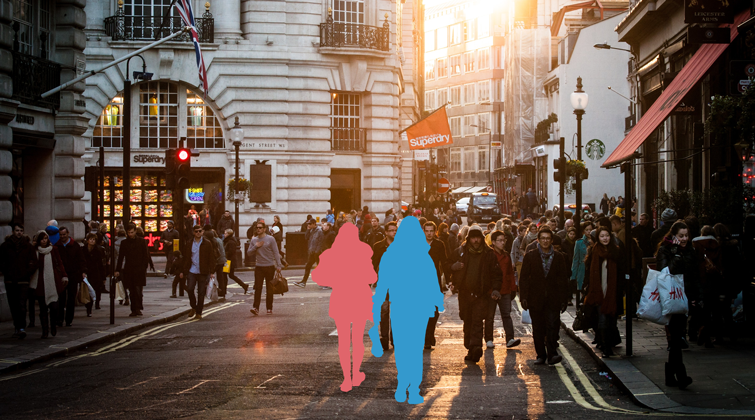 The days when consumers would support brands without knowing anything about them are over. The internet has made it easier than ever to learn about the ethics and practices of companies which consumers support. Companies with track records of ethical missteps or questionable policies can’t hide those blunders anymore. Instead, they bear the brunt of bad social media buzz, which can have a very real impact on their stock prices and overall reputations. The popular belief is that referral marketing is a sledgehammer, something you deploy to get masses of new customer acquistions in one big slam. But, here at Buyapowa, we know it can be much more surgical than that – less a sledgehammer and more of a scalpel; something you can deploy in very specific ways to achieve very specific goals. In this article, we’ll take you through two use cases where referral can be extremely surgical. 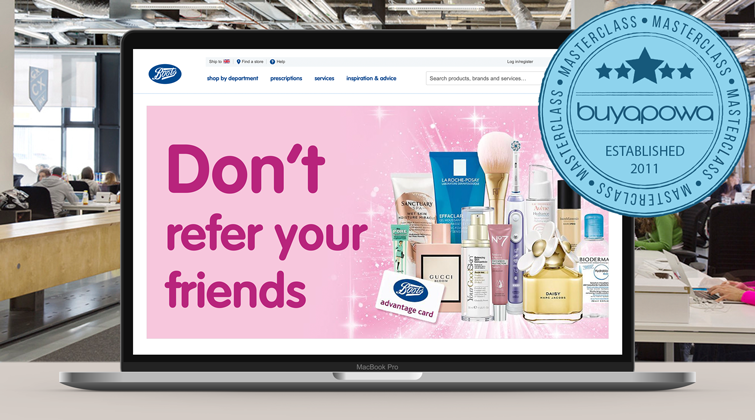 And, to illustrate the point, we’ll use one example brand, Boots: the kind of brand that might think it’s too big for referral but, once it understands that referral needn’t be a blunt tool, quickly sees the value. According to the latest Census Bureau report, 90.9% of all retail sales still happen in-store. Not online, not on mobiles, but in brick and mortar stores. And yet, only 5% of refer-a-friend programmes allow for that. 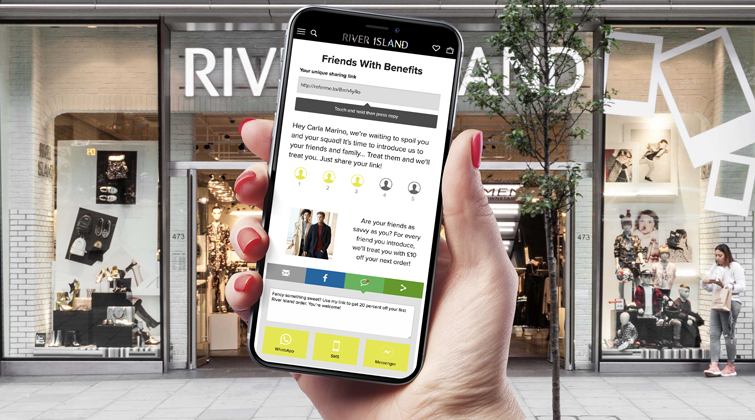 It’s a big day for us here at Buyapowa, as we push the button on an exciting new refer-a-friend programme for the much-loved fashion retailer, River Island. This follows other high-profile launches for leading fashion brands including Zalando, ASOS, New Look and Gap.